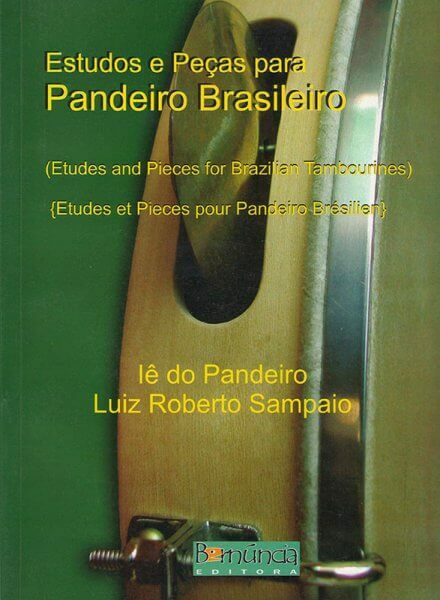 "Etudes and Pieces for Brazilian Pandeiro". Six pieces for the Brazilian pandeiro written for different ability levels. They are simple studies for one, two, three and four pandeiros, designed to help beginners or anyone interested in the instrument, to develop their technique and appreciation of the instrument. Iê do Pandeiro and Sampaio met in 2005 during a workshop by Jorginho do Pandeiro a legendary Brazilian pandeiro player, and immediately began to play and compose together. The first piece “Chorinho pro Jorginho” was the first piece composed by Iê with Sampaio as co-author, followed by another piece for two pandeiros “Pancadaria” based on the Maracatu rhythm. 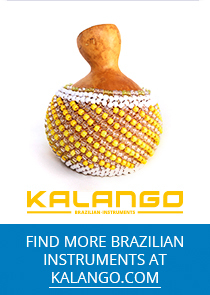 With this book they hope to take the Brazilian pandeiro to a higher level of relevance in Brazilian Musical Culture and also share with students their enthusiasm and dedication to the instrument.